These are a total Fall Favorite! 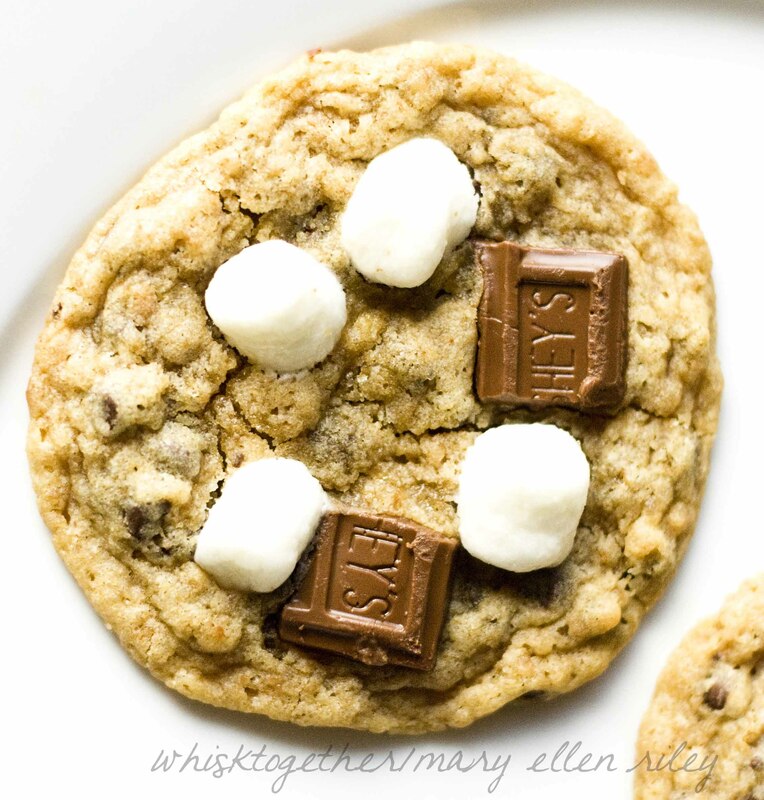 If you like s’mores, these will knock your socks off. Since the list of ingredients and special ingredients is more lengthy than even what I have in my pantry – I waited until we had pretty much all the ingredients on hand. Ooh, yummers! These were gone in less than 24 hours in my house. I always bake my cookies for chewy and therefore removed mine promptly when they were done. If you like yours crispy, like most recipes – leave them in another 30-60 seconds for crispier cookies. My cookies were also pretty flat. That didn’t matter too much to me as they were still delicious and the texture was great. But, if I were to sell these or bake a large batch, then I would make sure to chill the cookie dough. I do most of the time, however, these looked so stinking tasty I couldn’t wait! 2. Mix on medium with your electric mixer the butter and sugars until light and fluffy. This takes me about 1-2 minutes. 3. Add eggs one at a time. Scrape the bowl afterwards to make sure everything is incorporated. 4. Add vanilla and mix until combined. 5. 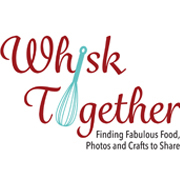 In a medium bowl, whisk together the dry stuff: flour, graham cracker crumbs, salt and baking soda. 6. Mix flour into the batter and beat until just incorporated. 7. Stir in the mini chocolate chips. 8. Chill bowl or move to step 9. 9. Scoop the cookie dough with a medium cookie scoop (about 1 and 1/2-2 Tb. of dough) onto a cookie sheet. I cover mine with silicone, or use parchment sheets, or nothing because the butter is so high it won’t stick. 10. Bake 9-10 minutes. 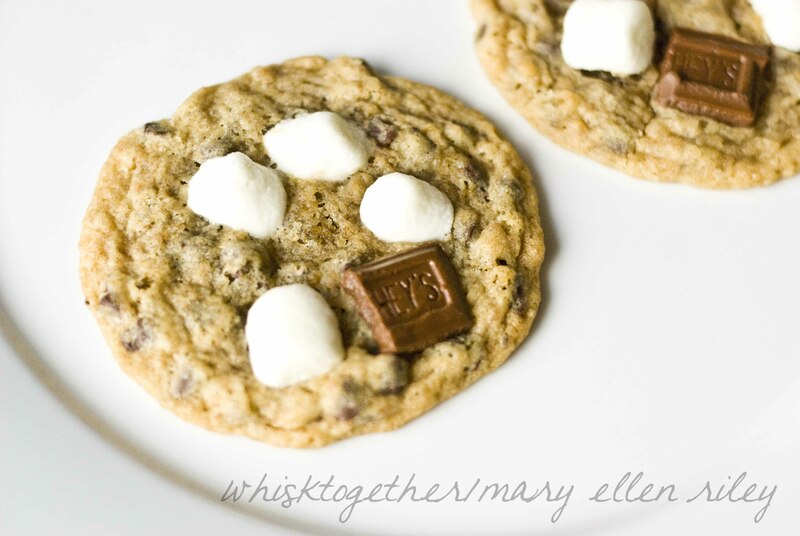 Pull them out of the oven and immediately put on marshmallows and milk chocolate. 11. Cool on wire rack and eat. I remove the silicone mat from the cookie sheet and lay that on the wire rack. After 10 minutes the cookies have cooled enough that I can use a spatula to put them on the wire rack to cool more.